Suitable for marine, RV, backup power and off-grid PV systems, Crown’s 12CRV110 battery offers exceptional quality and performance at a competitive price. 12CRV110 batteries are standard Group 31 size and use AGM (absorbed glass-mat) technology to control and contain electrolytes. 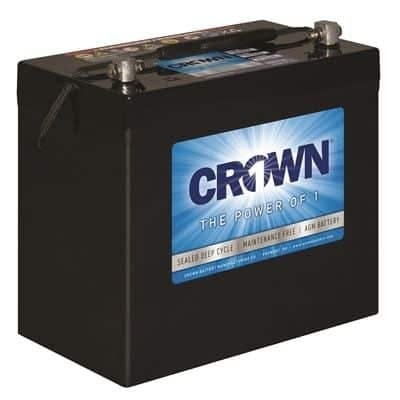 Crown’s 12CRV110s are safe and easy to install, and they are backed with Crown’s longstanding reputation for producing durable, high quality batteries. Every battery comes with a 3 year full-replacement warranty. The 12CRV110 is designed for deep cycle use and is best for remote and mobile applications, as well as for off-grid homes where regular battery maintenance is not an option. Multiple batteries may be wired in parallel and/or series for increased voltage and amp hour ratings — please see our battery bank listings for more information. 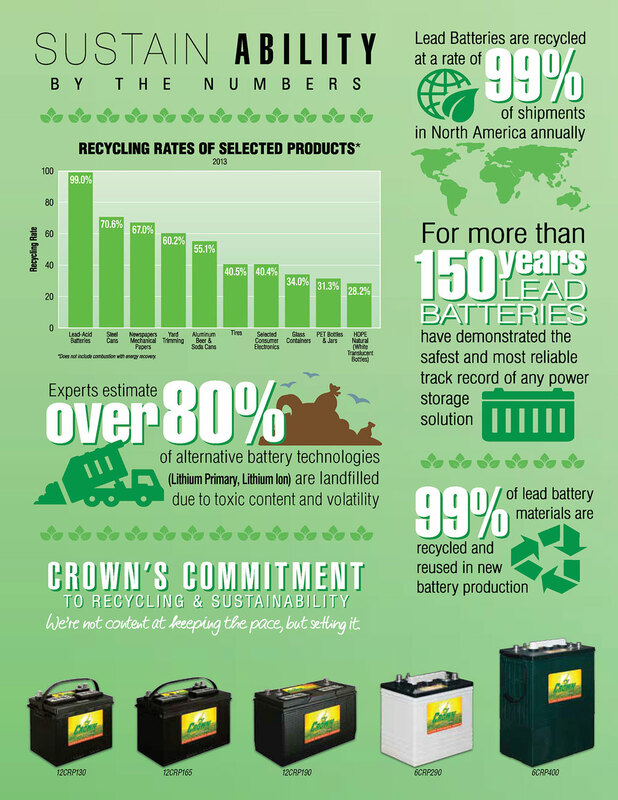 Crown specializes in deep cycle battery technology and their highly automated manufacturing facility produces some of the best deep cycle batteries in the industry. Crown 12CRV110 AGM batteries are built at Crown’s Fremont, Ohio manufacturing facility.